not so much. If your beans get too big they are tough. Pick them before they plump like snowmen. 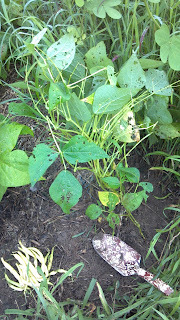 HOWEVER, there is another very relevant variable: these beans have not been fertilized! True story! If these beans can produce this well in Georgia clay without fertilizer, imagine how well they would do in good soil with fertilizer. Boom! You have room for beans! And in a container, you don't have to weed. Get an 8 inch container. Mix potting soil and compost - all bought pre-sterilized in bags. Fill the container with the potting mix, leaving a half inch empty at the top. Plant three bean seeds in it. Ask a gardening friend for a tablespoon of fertilizer. Put the fertilizer on it when it is about five inches tall. 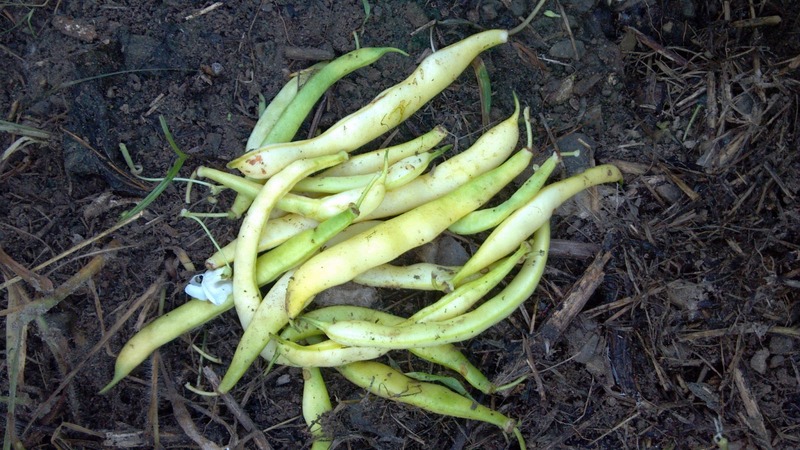 Pick the beans and eat them. I'll do this today too and update you regularly! I expect the same from you!